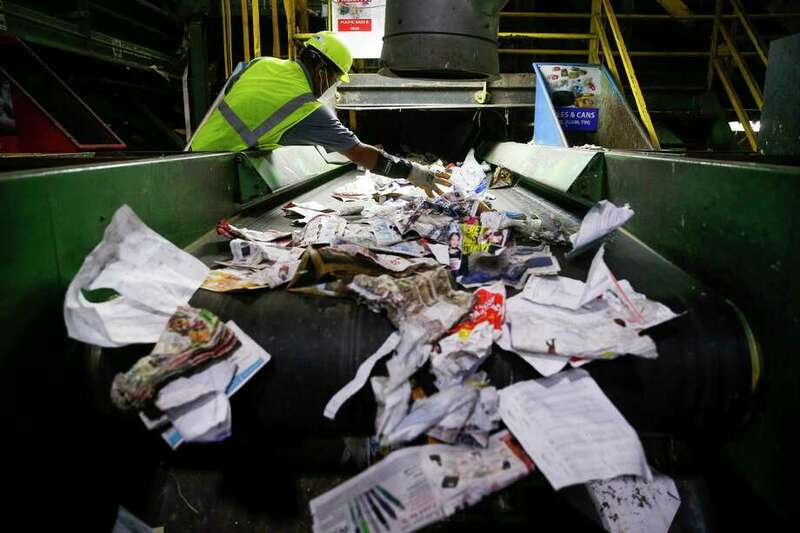 After months of negotiations at City Hall, on Jan. 10, the City Council approved a 20-year single-stream recycling contract with Spanish resource management company FCC to replace the current Waste Management deal which is set to expire next year. A new sorting facility will be built, and, when it’s completed in 2019, Houstonians will again be able to put glass in our green curbside bins, as well as single-use plastic bags, helping to keep them out of storm drains until we decide to live without them altogether. But this decision is about more than just a new place to put our bottles, cans, cartons and paper. It’s about demonstrating that we are a society interested in healthier ways of existence. As a society, we can continue to remind each other, and the next generation, that there is no such thing as throwing trash “away.” Far too often, “away” ends up in our bayous, our rivers, our bays and our gulf. And it’s about employing every option to decrease the amount of material going to landfills. That might be what we’ve always done, but in reality it is not a dependable solution for managing what we don’t use. Ask anyone who lives next to the McCarty Road landfill in northeast Houston, Greenhouse Road landfill near Katy or the Blue Ridge landfill in Fresno, who cite problems with windblown trash, noxious odors, methane gas releases and drainage ditches flowing with landfill “discharge.” Or ask someone who lives near one of more than 50 landfills in Texas that are leaking toxins into groundwater monitoring wells. It’s about becoming accustomed to the types of practices that are better for us in the long run, choosing reusable because it’s wiser and renewable because it’s safer. It’s just something we have to do as we work towards to a more equitable city, where our exposure to air pollution, toxic-waste sites and roadside trash isn’t determined by our ZIP code. Recycling access remains a basic service for those of us who live in houses, so why not for those who live in multifamily buildings, 40 percent of Houston’s population? Not only should we have recycling wherever we live, but also where we work and go to school. The new contract is both a tangible and symbolic commitment to the simple improvements that support a cleaner environment, while increasing our revenue and making the city more efficient. In Houston, the city is “the environment” — a paved, flood-prone, palm-treed, World Series-winning mix of distinctive, history-making innovation. Last year challenged us in many ways, and now in 2018 we are off to a running start on building a more sustainable future. I can’t wait to see what we will do next. Rosanne Barone is the Houston Program Director for the Texas Campaign for the Environment. Bookmark Gray Matters. It never ends up in our bayous, our rivers, our bays or our gulf.